Jim Slabaugh has 38 years of experience working with employers in employee benefit programs for all size public, private and nonprofit employers. He started his career at Blue Cross and Blue Shield of Virginia in 1977. 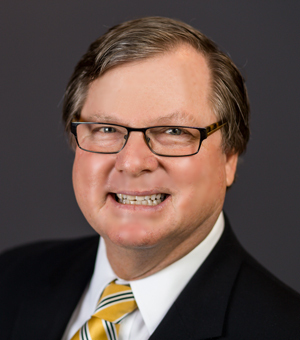 Jim joined Mercer Meidinger (now Mercer Consulting) in 1985 and worked with many large employers including Sentara Health Systems, Lawyer’s Title, BASF and Circuit City Stores to name a few. In 1990 he started Slabaugh Group Associates. Over the years, Slabaugh Group Associates became Slabaugh Morgan, then Palmer and Cay and ultimately Wells Fargo Insurance Services. When Slabaugh Morgan was acquired by Palmer and Cay in 2000, Jim left and started Keiter Slabaugh Penny & Holmes (now Marsh McLennan Agency) and again built a successful consulting firm working with small and large employers alike. In 2008, he left KSPH to co-found nHealth, a Consumer Driven Health Insurance Company, to help employers through high deductible health plan design and wellness programs to manage their healthcare insurance cost. In March of 2010, with the passage of the Affordable Care Act, nHealth closed due to the uncertainty of smaller health insurance carriers under the new law and regulations. At that time, Jim then joined Rutherfoord, a Marsh McLennan Agency, as director over the employee benefit practice. Jim left Rutherfoord due to his desire to own and control his own company and started Slabaugh Group Associates for the second time before merging practices with SIMA Benefits Consulting Group. Now president of SIMA Benefits Consulting Group where he is the Chief Compliance Officer, Jim and his fellow brokers are able to provide their clients 360 degree insight into the impact insurance decisions make on a company’s financial well-being as well as its ability to attract and retain talent, plan for the future, and remain compliant with quickly changing state and federal mandates. Click here to contact Jim via email.